Kann man in dieser Welt glücklich sein? Selbsterkenntnis: Wir sind nicht der Körper! Rupa Goswami ist einer der wichtigsten Meister der mittelalterlichen, aber auch der modernen Bewegung für Krsna Bewusstsein. 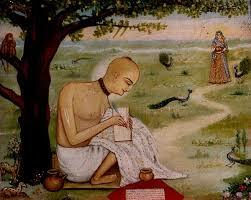 Er lebte mit Sri Caitanya Mahaprabhu in Jaganatha Puri und verfasste die erhabensten Schriften. Hier ein paar Details seines Lebens und Wirkens. 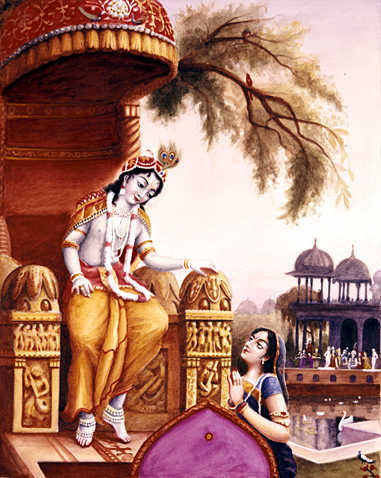 What the Vedas recommand as a good lifestyle, proofs itself true in the face of the result of its abolishment. The more sensual and sinful society becomes, the more it will suffer through physical and mental disease. Here a couple of words on that through the media of a Bhagavatam class in Simhachalam. In this lecture I talk about the necessity of a prayerful attitude. Wie ist es so ein Mönch zu sein?